When I initially began writing about the top summer vacation spots in Canada I had planned to only write one post to cover all of the different spots. As I wrote about each location I soon realized that putting them all into one post was going to be way too big because there is so much to write about and so many pictures to show for each location. So I decided to break this up into a new weekly series. Each week I will highlight a fascinating spot within Canada that you may wish to consider for your next summer vacation. Summer is right around the corner. For some it may already feel like summer, depending on where you live. And with summer comes the question “so what are your plans for your summer vacation?”. While individuals or couples may have the option of traveling any time throughout the year, most families will look to do some sort of a vacation during the summer when their children are out of school. Some may fly overseas, some may do a trip across their own country, and some may look for vacation options that are closer to home. With the constant increase in the price of flights and the constant increases in the price of gas, sometimes it is wiser to plan a vacation that is closer to home in an effort to save some money. 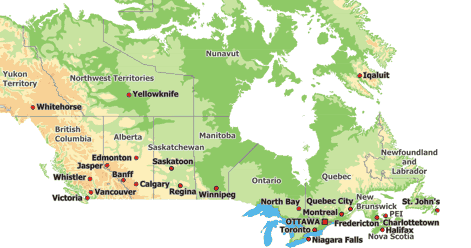 For those living in Canada or close to Canada there are many summer vacation spots to choose from. Canada has some of the most amazing beaches both on the east coast and the west coast, as well as in the interior of Canada, as there are many beautiful lakes within the interior. You will find spots to go sight-seeing, boating, white water rafting, whale watching, fishing, camping, kayaking and stampeding. Each week we will take a look at some of the different top vacation spots in Canada that you could visit this summer. We’ll start out on the west coast of Canada and move towards the east. Our tour of Canadian vacation spots begins at The Butchart Gardens on the west coast of Canada in the province of British Columbia. 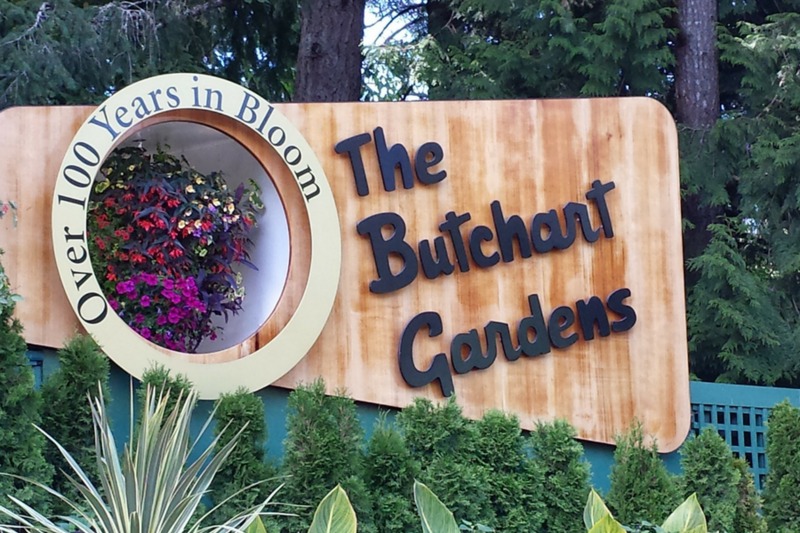 The Butchart Gardens is a family owned and operated business that Mr & Mrs Butchart began creating in the early 1900’s and it continues to be operated by their family today. The area started out as a limestone quarry but once the quarry was exhausted, Mrs Butchart began re-designing the space into an amazing garden. 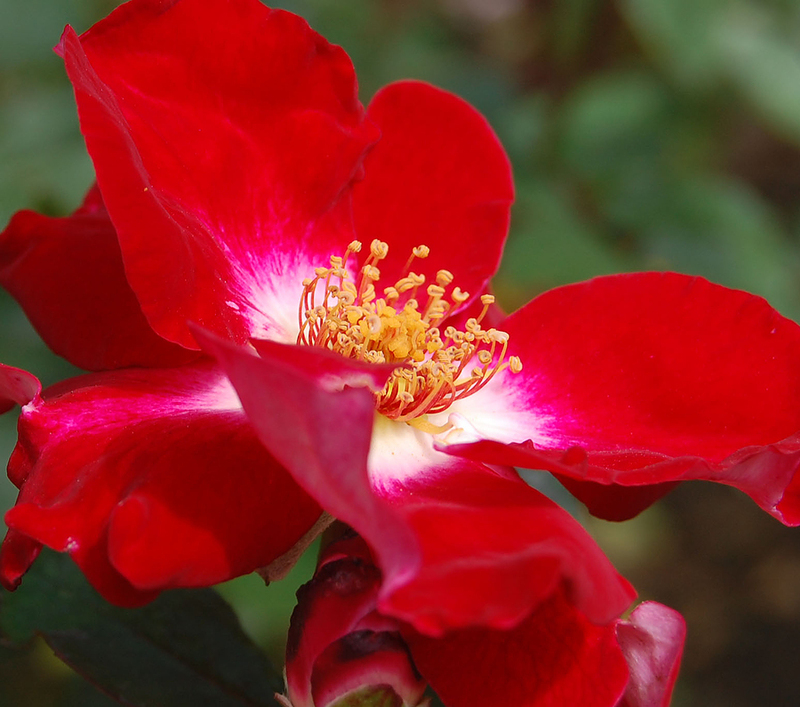 Her and her husband worked together and started by creating a Japanese Garden, and soon after they added an Italian Garden as well as a Rose Garden. They had a collection of fine ornaments from their world wide travels and they placed them within the gardens and the ponds. People all over the world heard about the Butchart Gardens and by the 1920s over fifty thousand people visited the gardens each year. That’s incredible! 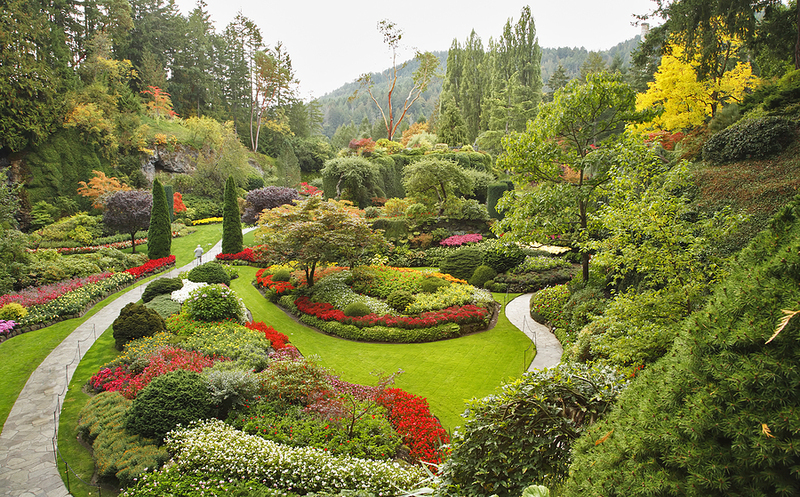 Today the Butchart Gardens covers over 55 acres and new flowers and trees are added each year. They have also added a Christmas Light display to attract people in the winter months as well. Currently, almost a million people visit the gardens each year. This beautiful floral garden is a huge attraction on Vancouver Island. It is located 14 miles north of Victoria. You can easily fly to Vancouver Island or you can take the Vancouver-Victoria ferry to the Island. This is the perfect vacation spot for everyone. Your kids will truly enjoy the day. If you live close to Vancouver Island or are ever visiting in the area, make sure to include a stop at the Butchart Gardens. You will find that you can easily spend an entire day there.